Colombian ace David Ospina has reportedly agreed on a loan move to Besiktas according to Sports Witness. 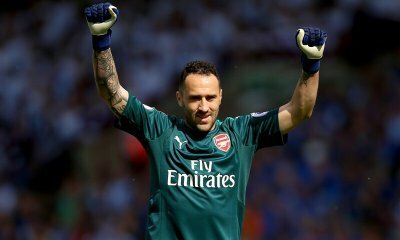 Ospina moved down the pecking order after the arrival of German stopper Bernd Leno from Bayer Leverkusen this summer and has been rumoured to be on his way out of the club. Ospina is yet to resume training with Arsenal as many reports claim that a move has been finalized with Besiktas. Besiktas were among several clubs in talks with the 29-year-old over a move away from the Emirates and they seem to have clinched the player on a season-long loan. Ospina had agreed to personal terms with the Turkish side, but Arsenal failed to reduce their valuation of the shot-stopper. However, it looks like all has been finalized for a move. Turkish tabloid Takvim reported on Monday that Besiktas have agreed to pay £1.5million to take the player on loan. Though the loan fee move looks ridiculous as Ospina has just one year left on his contract, this could be the case of the Turkish club not wanting to pay a huge fee for the player who would be out of contract in 12 months time. Ospina signed from French club Nice in 2014 and has made 70 appearances for the Gunners during his time at the club.